Today marks the 50th Anniversary of the day the world lost Dr. Martin Luther King, Jr., and his legacy is as special and important to our country as it has ever been. 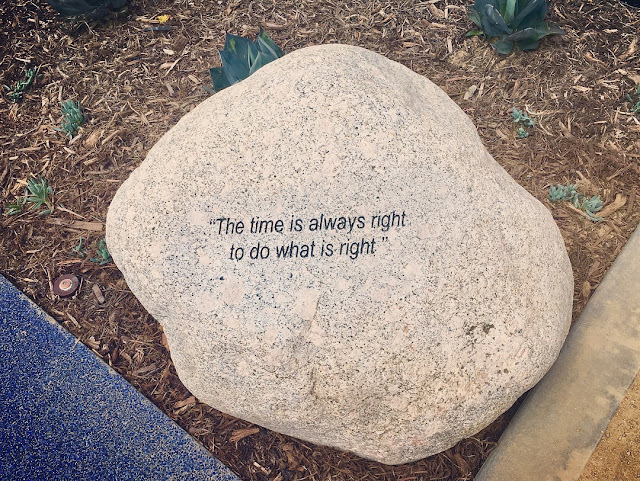 In fact, MORE special and important, because in today's world, Dr. King's message is needed more than ever. 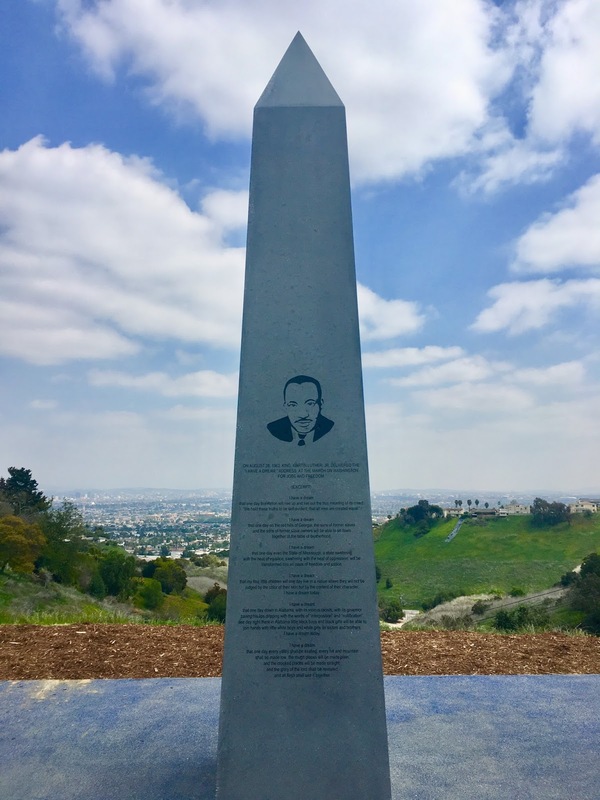 I was on a hike the other day in Kenneth Hahn Park, and at the very top of the trail was a brand new MLK Memorial looking out over the entire city of Los Angeles. It was a pleasant surprise, and also a little time travel feeling, as the plaque marks today as the date it was commemorated, but today was two days away. I read that a big crowd made the hike to the top together a few days ago to have a ceremony marking the place and honoring the legendary American hero. There are fresh trees planted, and as you walk up to the obelisk itself, several rocks are engraved with famous MLK quotes - truly words to live by. Today's world needs an emphasis on social justice more than ever, and I find myself cringing when I think of what King would feel about all the madness happening in these current times. How sad he would be to know that we are still struggling to make his wonderful dream come true. I remember how happy I thought he would be to know that we had President Obama - and we all thought major progress - but now how crestfallen he would be to know that those eight years of grace and dignity were followed by the worst Administration the United States have ever known. 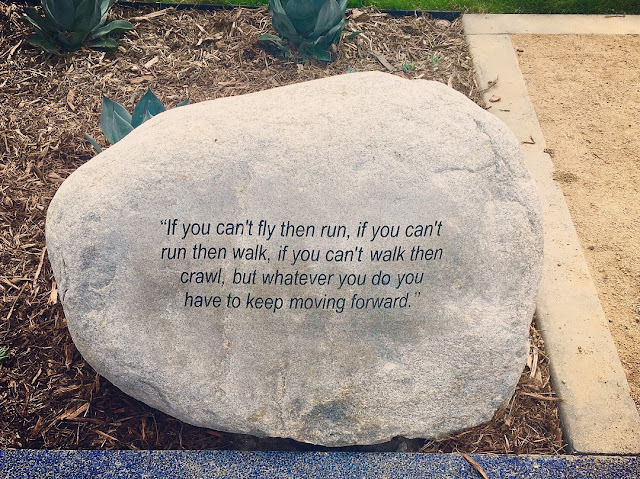 That's why it is so important to have monuments and memories to the greatness we're capable of, and the inspiration to walk on in those epic footprints forged before us. Standing at the top of this mountain, thinking about the "I've Been To The Mountaintop" speech King gave the night before he was assassinated in Memphis, I had a similar feeling to when I stood in the spot that King gave his "I Have A Dream" speech on the Washington Mall. That the ground where I stood was now sacred. That we have failed him. That we have the potential to be so much better. That the dream is still alive, even if he is not. 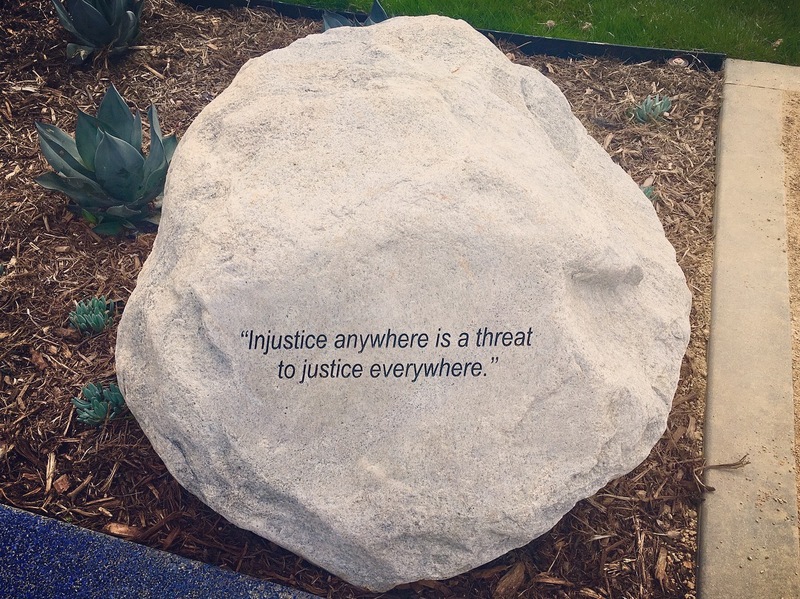 That we can make it a reality by always remembering to focus on the love and social justice that King did. 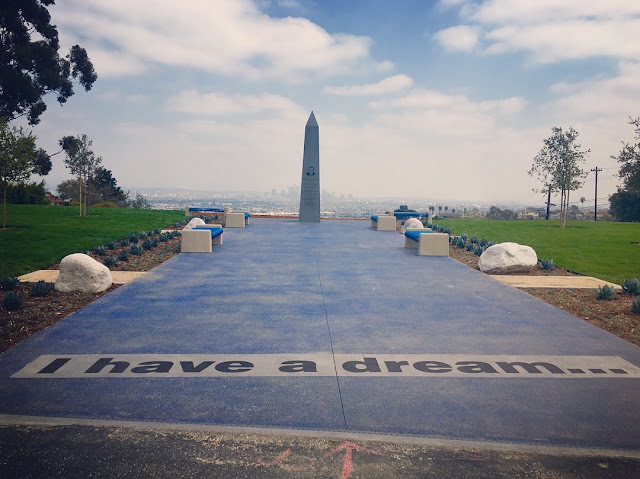 I've been to the King Memorial on the Kenneth Hahn mountaintop ... and I looked over. But I want you to know today, that we, as a People, will get to the Promised Land! And so I'm happy, today. Thank you, Dr. King. Your dream will never be forgotten.